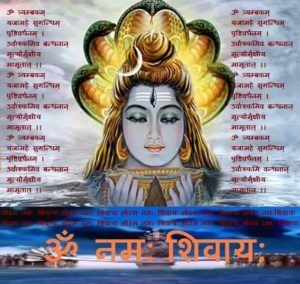 Maha Shivratri (the ‘Great Night of Shiva’) is a Hindu festival celebrated every year in reverence of Lord Shiva. It is also known as Padmarajarathri. Alternate common spellings include Sivaratri, Shivaratri, Sivarathri, and Shivaratri. It is celebrated every year on the 13th night/14th day of the Maagha month of the Hindu calendar. Since many different calendars are followed by various ethno-linguistic groups of India, the month and the Tithi name are not uniform all over India and Nepal. Celebrated in the dark fortnight or Krishna Paksha (waning moon) of the month of Maagha according to the Shalivahana or Gujarati Vikrama or Phalguna according to the Vikrama era. 06.00 : Abhishek & Aarti & Prasad vitran. Looking forward to see you joining the celebration at Hindu Mandir, Åkervägen 1, 191 40 Sollentuna. For further information, please call Panditji at 08-357222.